Size: Claw is almost 4 inches along curve! This is an excellent dinosaur claw. It is a very large Carcharodontosaurus saharicus Foot Claw from the Cretaceous of Morocco. This specimen was once part of a major fossil collection. The claw has fabulous detail preserved. The curve is very pronounced, and the tip is fully intact, which is extremely unusual. There is absolutely no repair or restoration on the claw whatsoever. And at almost FOUR inches long, it is quite impressive - WOW! 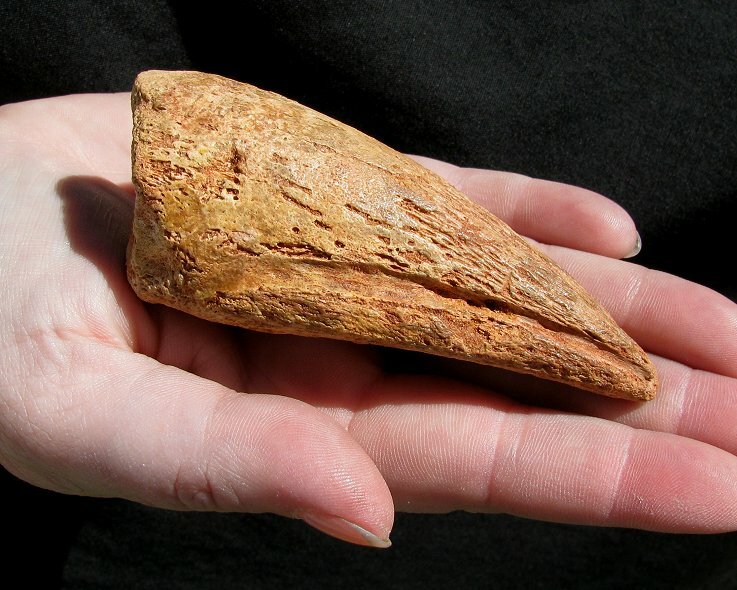 This is a very collectible and displayable dinosaur claw that has been in a major collection for years.